The quality of Japanese electronics products, including automobiles, is highly regarded around the world. 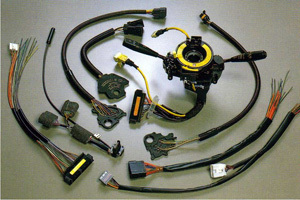 FUJI ELECTRIC is the manufacturer of the wire harnesses for such products. These wire harnesses correspond to nerves in human bodies, which enable all the organs to function smoothly. Production of wire harnesses with high quality is essential for creating products.